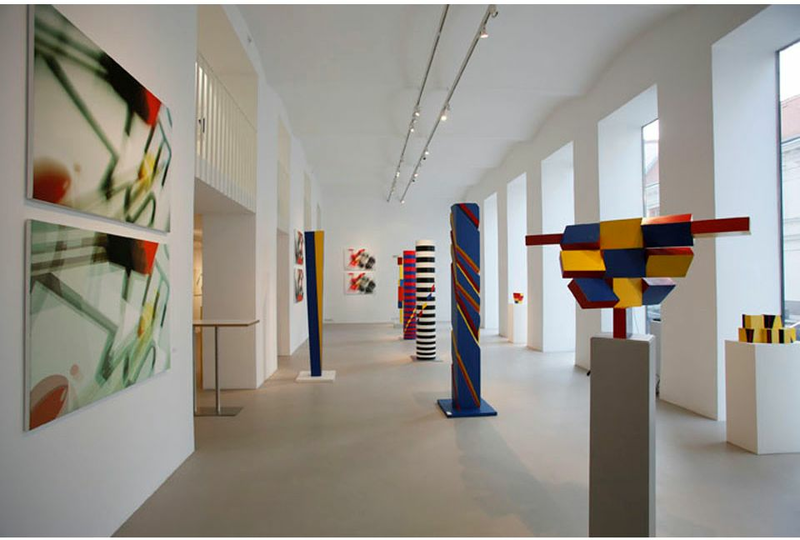 The program of zs art gallery comprises Austrian and international positions of Postmodernism and Contemporary art in a diversified range of styles, art movements and genres. In accordance with our multifaceted program, which is dedicated to a positive discourse with environment and society, we convene artists who correspond with the programmatic idea of our gallery "the consideration of the value of existence". zs art initiates and communicates interdisciplinary art concepts and inspires positive social criticism through connectiong different artistic forms of expressions. This "Connecting Concept" is mission, method and message at once. The message is: Concentration on the preciousness of being. zs art wants to motivate, to move, and to delight. "Connecting Concepts" links various levels of creativity without limiting the individuality of artistic interpretation. "Connecting Concepts" unites ideas and intentions of artists working in different disciplines under one common subject. Painting, sculpture, video performances, conceptual art, music, language, ... Various, sometimes controversial, artistic points of view are brought together creating a comprehensive overall picture. All themes, all exhibitions together form a big commonly shared artistic multiple, the zs art culture - dedicated to the variety, the abundance of life. zs art gallery invites artists and beholders to join into an interactive and inspiring examination of the present and the future. Art communicates and the art presented by zs art hopes to be stimulating and to move the public's interest profoundly in addition.